As the Kurdish population of northern Iraq takes part in a referendum for independence, Australia must decide where it stands and what policy options to take. This week, the Kurds of northern Iraq took a significant step on their long road to independence. Amidst an unusual combination of domestic fanfare and widespread international condemnation, the Kurds voted en masse in a referendum that paves the way for the creation of an independent Kurdistan. The results indicate that as many as 92 per cent of the Kurds voted in favour of independence, while the orchestrator of the vote and President of the Kurdish Region, Masoud Barzani, was quick to announce victory. The prospect of a newly independent Kurdish state emerging in the Middle East poses a set of distinct policy challenges for Australia, each of which will require nuanced and sensitive diplomatic engagement. 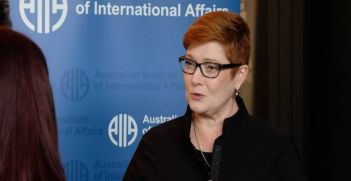 There are three specific areas in which Australia can show leadership to help avoid a further escalation in tension and renewed violence in the region. First and foremost is the fight against the Islamic State. In mid-2014, the militants swept across northern Iraq, leaving a sequence of geopolitical and humanitarian disasters in their wake. The Kurdish enclave of northern Iraq was besieged by the Islamic State which at one point threatened to reach the Kurds’ de facto capital, Erbil. Following the lead of the US, Australia was among the first to respond: by late August, Australia was providing weapons to the Kurdish forces (the Peshmerga—those who face death) and, as part of Operation Okra, Australia conducted airstrikes across northern Iraq in support of Kurdish operations. After more than three years of complex asymmetric war with heavy casualties, the battle to wrest back territory from the Islamic State in Iraq is all but over. However, the prospect of the Islamic State, or some future iteration, continuing to threaten the Kurds remains very real; the Kurds will need continued support from the likes of Australia to fend off this threat. 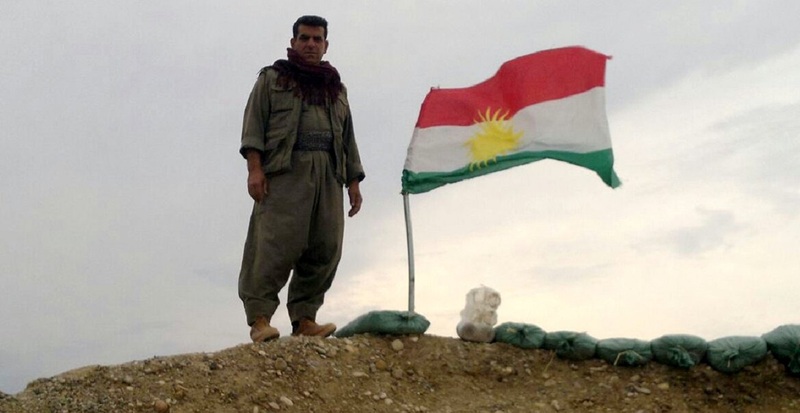 The Kurdish vote on independence therefore puts Australia in a difficult position. If it continues to supply weapons and conduct airstrikes in support of the Kurds, it could find itself quickly embroiled in a war that is less about defeating the Islamic State and more about Kurdish independence. The defeat of the Islamic State and the Kurdish referendum therefore offer Australia a unique opportunity to change course. Australia can now responsibly begin to scale back its military engagement in Iraq towards a more concerted program of post-conflict stabilisation and peace building. It is an area in which Australia has a great deal of expertise and credibility and a long-term commitment on this front is the only real chance Iraq (and Kurdistan) have of a peaceful future. A second issue that Australia must consider is the extent to which the Kurdish referendum portends the onset of a new conflict between Baghdad and Erbil. The Kurds have been very clear that while the referendum is non-binding, it is expressly designed to gauge sentiment across their territories towards secession from Iraq. In the run up to the referendum, Barzani repeatedly framed the vote as a seminal moment in Kurdish history, an opportunity to fulfil their political destiny and negotiate the emergence of an independent Kurdish state. Although the precise contours and framework for this new Kurdish state are yet to be determined, it is difficult to image that the Kurds would renege on their momentum towards this goal. But it won’t be easy. The central Iraqi government has long stood against any Kurdish aspiration towards independence. Throughout the campaign, Baghdad repeatedly criticised the poll, damning it as unconstitutional and a provocation that would have consequences. In recent days, Iraqi Prime Minister Haider al-Abadi has appealed to the world to stop buying Kurdish oil and demanded that the Kurds close their airports. The Iraqi security forces have also conducted military exercises on the Kurdish border. The prospect of such efforts escalating to some form of conflict between Baghdad and Erbil is very real. This raises significant questions for Australia. Since following the US in the highly problematic intervention of 2003, Australia has invested heavily in the Iraqi state. Such efforts have been underpinned by the ‘One Iraq’ policy in which Kurdish aspirations of independence were quashed by an insistence on the maintenance of a unified Iraq. The Kurdish referendum therefore undermines this policy and the efforts of Australia and others to build a united Iraq. However, Australia has played an important and established role in mediating between different political actors in Iraq. Unlike the UK with its colonial history in Iraq and the US with its problematic intervention of 2003, Australia is generally perceived in very positive terms across Iraq. This political leverage and diplomatic capital will be invaluable as Erbil and Baghdad negotiate the precise contours of Kurdish independence. Australia can play a critical role in making sure that the Kurdish vote does not pre-empt another brutal civil war in Iraq that would have few tangible gains for either side. Finally, the Kurdish referendum puts Australia in an awkward position when it comes to the complex geopolitics that underpin the region. While the US made clear its disapproval of the referendum, Washington’s support for the Kurds remains unchanged. Australia broadly adopted the same position, warning against the potential destabilising effects of the vote but not significantly altering existing policy. However, by mimicking US support for the Kurds, Australia runs the risk of greatly antagonising regional powerhouses such as Iran and Turkey. Both are home to significant Kurdish populations and see the creation of an independent Kurdistan in northern Iraq as a threat to their own territorial sovereignty. Ahead of the Kurdish vote, the foreign ministers of Iraq, Turkey and Iran came together to voice their “unequivocal opposition”. In a rare moment of solidarity, they went as far as threatening unspecified but united “countermeasures”. These were not empty threats. At the request of Baghdad, Tehran closed its airspace to flights from Iraqi Kurdistan, while also undertaking military manoeuvres near the Iran-Kurdistan border. Meanwhile, Qassem Soleimani, the commander of Iran’s Revolutionary Guards, has reportedly threatened to allow Shiite militias to attack the Kurds. For its part, Turkey has also recently conducted military manoeuvres near the Iraqi Kurdish border. It has since removed access to Kurdish TV channels on Turkish satellites and also threatened to cut off Kurdish oil exports that flow through the country. All of this serves to illustrate just how isolated the Kurds are but also how complex Australian policy engagement in the region is in light of the Kurdish vote. On the one hand Australia is to some extent bound to the whims of its strongest ally, but the Trump administration has shown little interest, clarity or leadership on the issue of Kurdish independence. On the other hand, Minister for Foreign Affairs Julie Bishop has recently engaged effectively with Tehran. To balance these competing geopolitical agendas, Australia must commence a nuanced and sophisticated diplomatic effort. 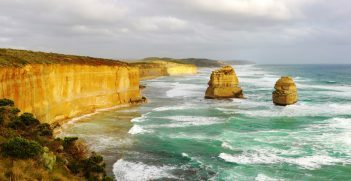 Navigating the complex and fractious relationships between Washington, Baghdad, Ankara and Tehran will not be easy but Australia is in a unique position to offer calm and robust dialogue towards a peaceful solution. Kurdish independence appears inevitable; what is not inevitable is renewed hostility. Via a robust post-conflict stabilisation program, by mediating between Baghdad and Erbil, and by being cognisant of the volatile geopolitics of the region, Australia can play a vital role in ensuring that Iraq and the broader Middle East do not become embroiled in another wave of brutal violence. Benjamin Isakhan is associate professor of politics and policy studies at Deakin University and adjunct senior research associate at the Department of Politics and International Relations at the University of Johannesburg, South Africa. William Gourlay teaches in the politics and international relations program at Monash University. This article is published under a Creative Commons Licence and may be republished with attribution. In a more contested world, the future of the global order will be determined in large part by how the major powers manage strategic competition. However, it will be determined also by how others, including Australia, work constructively to sustain an international system that supports prosperity and peace. Australia has long benefited from the post-war rules-based international order. But the danger of eroding international norms demands Canberra rethinks its foreign policies rather than put this at risk. 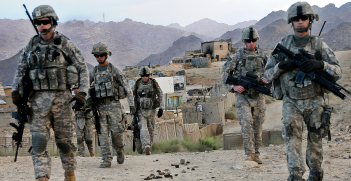 Afghanistan: Can Trump Kick-Start a Viable Exit Strategy? President Trump faces significant challenges to kick-starting the end of America’s conventional military involvement in Afghanistan.